Some time ago we had a look at the the astronomical nomenclature and the etymology of the Solar System. However, we came across a piece of trivia that stated that all the moons in the solar system are named after Greek gods, with the exception of Uranus' moons, which are named in accordance with characters from Shakespeare. The first planet in the solar system has no natural satellites. As a result, is not worthy of our attention today. 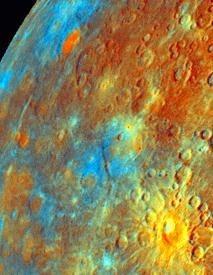 Like Mercury, Venus doesn't have any natural satellites either, with the exception of 2002 VE68, an asteroid that follows a quasi-orbit around the planet. In the 17th Century, it was reported that Venus did have a moon, which was "discovered" by the astronomer Giovanni Domenico Cassini. He named this "moon" Neith, after the Egyptian god. Has this discovery held water, the naming convention and our trivia tidbit would have been disproven after only two planets. However, it was not, and as a result, we may be on to something. Our home planet, as many people should know. Has one natural satellite, the Moon, which came from Moone, from the Old English word, mone. This word came from the Old English mōna, which has its origins in the Proto-Germanic mǣnōn. Whilst none of these are the name of a Greek god, the term Lunar comes from the Latin word Luna, named for a Roman god, and the satellite was at one point even named for Selene, a Greek god. Whilst this is a tenuous link and hardly seems definitive that all moons in the Solar System are named for Greek gods, we will soldier on regardless to see if our moon was just an exception. The Red Planet has only two moons, Phobos and Deimos. Phobos, written in Greek as Φόβος, was indeed a Greek god. Phobos is in fact the Greek god of horror and the embodiment and personification of fear. This is, of course, is the origin of the word phobia. Deimos, or Δεῖμος, is the Greek god of terror, Phobos' twin, and the second of Mars' moons. Even though both moons are named after twins, the actual satellites are not particularly similar. Jupiter and the Galilean moons. The red giant has 67 natural satellites. We covered the Galilean moons in our previous post on the Solar System. The Galilean moons are evidently named after their discoverer Galileo Galilei. 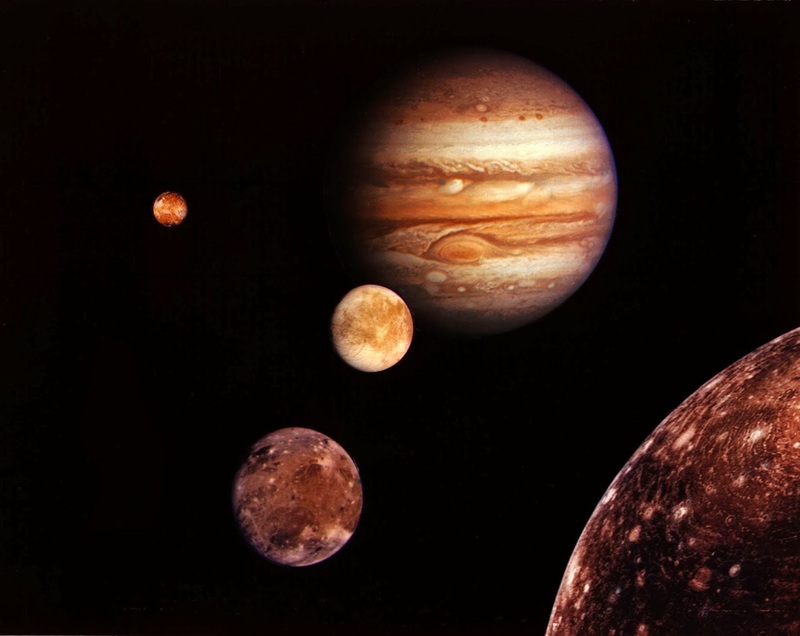 Io, Europa, Ganymede, and Callisto are certainly Greek names. It is whether they are Greek gods or not. Io was a priestess of Hera and nymph. Europa, was a god and as you can guess, is the namesake of both the moon and continent. Ganymede was a mortal who was abducted by Zeus, which appeared to be a hobby of his, and became the cupbearer for the gods. He was granted immortality so was sort of a god, despite Homer referring to him as the most beautiful of the mortals. Callisto was also a nymph abducted by Zeus. Just from the Galilean moons we can see that whilst the names of the moons are all of Greek origin, they are not all technically gods. The next moons were named with Roman numerals until the International Astronomical Union attributed names to the moons V to VIII and established the nomenclature that future moons were to be named after lovers and favourites of the god Jupiter, or Zeus as he was known in Greek mythology. Once it became somewhat clear that Jupiter had a lot of moons, the IAU decided that all moons after XXXIV were to be named after sons and daughters of Zeus or Jupiter. Closer inspection at each of Jupiter's moons show that even with this nomenclature, not every moon is named after a Greek god or a character from Greek mythology. Take the catchy "S/2000 J 11", which wouldn't take a Greek specialist to realise that it's neither a god nor from mythology. Clearly our daily trivia doesn't hold up to scrutiny. Despite this, we'll be back on Friday seeing if Saturn has any Greek gods and whether or not Uranus' moons are indeed named after Shakespearean characters.